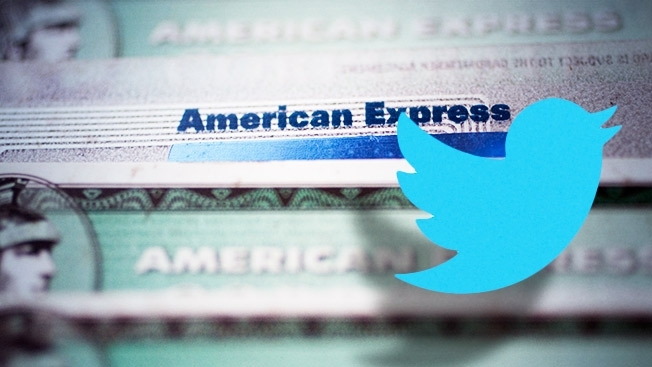 Last year, American Express launched it’s Card Sync program which allowed card members to access deals from select merchants across several social media platforms, including Twitter and Foursquare. Today, they’ve decided to take their social commerce game to the next level with the launch of a program that lets members purchase items on Twitter, by tweeting a purchase hashtag. Sync your eligible Card at sync.americanexpress.com/twitter. Cardmembers tweet special product #hashtags for the product they want to purchase with their synced Card. Cardmembers then check their Twitter mentions in the @ Connect tab (https://twitter.com/i/connect) for a response from @AmexSync containing a confirmation #hashtag. Tweet the confirmation #hashtag within 15 minutes of the response from @AmexSync to confirm the purchase. All products will be shipped to the Cardmember’s billing address via free 2-day shipping, courtesy of American Express. My first thought when I read about this program was “hmm scary.” I thought about all of the things that could go wrong with retweets as confirmation and with the possibility of hackers (or other people you know) accessing your account and using it to make fraudulent purchases. On the flip side, we live in a world where you can take a photo of a check and have it deposited into your bank account in real time, so using social media to create another purchase channel is only a natural development for mobile/social commerce. And because of the retweet requirement in this program, it can also double as a social media campaign that will drive awareness and increase Amex’s visibility on Twitter. Does this program make you want to become an Amex cardholder?